Before you fire up the grill and settle into your July 4th barbecue festivities, take a moment to appreciate the men and women in uniform who have fought for your freedom. Think of those who have come home wounded and scarred from war, and for those who may never have made it home. As you celebrate this Independence Day with your friends and family, we encourage you to honor those who have served our country. At Aegis Living, we are so proud to care for many veterans and their family members. They are special heroes to us. This Fourth of July holiday, here are five ways to honor those who have bravely served in the military – both young and old. If you would like to honor a friend, family member, or loved one, submit a photo of that person with a short paragraph describing their service and why they are special to you. Visit our Aegis Living Facebook to submit your information and to see our growing Wall of Honor. If your grandparents or relatives have served in the armed forces but are no longer with us, honor their life and service with flowers or a U.S. flag at their gravesite or memorial. Whether they lost their life on the battlefield or long after returning home, they deserve to be remembered on this special day. There are so many worthy charities that honor our veterans. Give your time or money to support the powerful work of these organizations. Make it a family event and share it with your children as a wonderful learning experience. Find a charity in your community and find out how you can support them. Honor Flight Network is a charity dedicated to providing our veterans with honor and closure. The goal of the Honor Flight Network is to transport American veterans to Washington, DC to visit those memorials dedicated to honor their service and sacrifice. Top priority is given to those senior veterans of World War II. This aging generation of heroes is passing away, so there is little time left to express our gratitude to these brave men and women. Take a few moments to write to a veteran and thank them for their service. Whether it’s is your grandfather or someone you don’t know, a card of appreciation can mean so much to the recipient. An easy way to find a member of the military to write to is through the organization, A Million Thanks. This organization will pair you up with a member of the military and the address to send a note. Involve your kids to make colorful cards. Visit A Million Thanks here. Remember this Fourth of July holiday is not always pleasant for everyone. Soldiers who have returned with Post Traumatic Stress Disorder (PTSD) may find the holiday noise and fireworks stress inducing. Military with PTSD is an organization providing yard signs to ask for your courtesy with fireworks in neighborhoods that include veterans suffering from PTSD. At Aegis Living, we are proud to care for our veterans with the dignity and respect that they deserve. 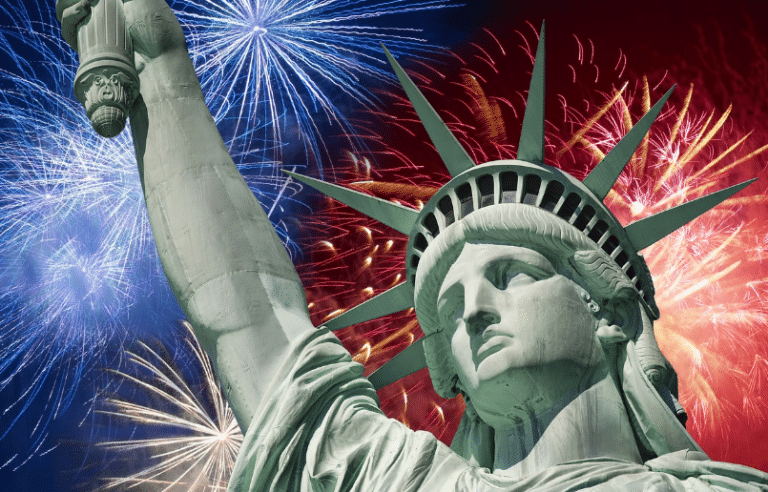 We wish you and your families a happy and safe Fourth of July holiday weekend!